Jaipur is a town enriched with traditions and customary practice. One can adequately see a glimpse of Rajputana lifestyle imprinted on the bedsheets. Ideally, the traditional bedsheets are richly crafted in block printing patterns. In this matter, the block prints usually have the tribal prints and royal patterns. However, prints have always been important to deal with ever growing demand for retaining traditional aspects. This has enabled the handloom agencies and other online websites to come up with artistic prints representing the soul of Rajasthan. And here calls for the extensive use of elephants as well as camels because they are directly linked with the imperialistic lifestyle. 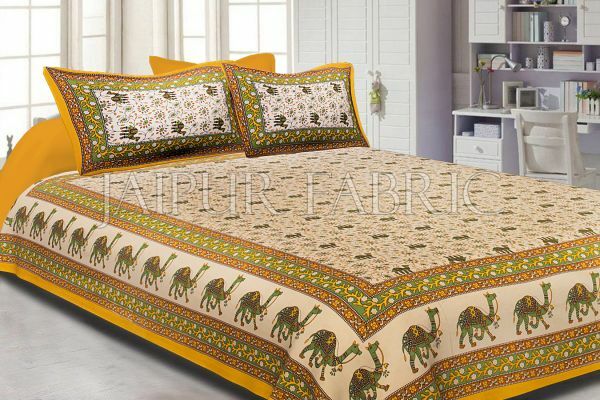 Considered as the symbols of strength and life, elephants and camels have been found in a variety of bedsheets in Rajasthan. Taking note of the printed styles, the animals prints were crafted on the white base of a fabric. They used to have natural shades as well as artificial ones too. Making clarifications on the natural shades, the animals printed on the bedsheet were carried out in brown and light brown colors as the real animals have. 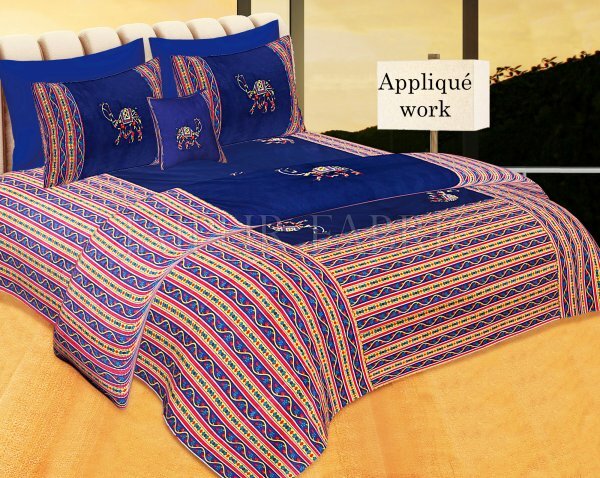 This gives a naturalistic appeal to the bedsheet akin with Rajasthani trends. Further to this, such forms of bedsheets are quite in fashion for making worthy impression. It is the ideal representation of style and elegance. On the other hand, the elephants and camels are exquisitely printed as part of block printing gives different shades. Right from the tones of pink to blues and greens, there are specific shades that make way for spectacular designs. This is the reason that people are always on a lookout for designs that make way to their rooms and wardrobes. Available in single bedding and even the double one, these bedsheets have always been liked by people and purchased as per requirement. Certainly, Jaipuri bedsheets are representatives of rich art and craft used through ages. Along with the importance of prints on the bedsheet, it is the fabric that matters too. Bandhej one is extremely loved because of its smooth, flowing, and graceful appeal. On the other note, Sanganeri fabric is famous as an exclusive masterpiece coming from the Sanganer town. And also, Bagru print is quite liked for its wooden as well as metallic inked patterns. With specialized selections, people are always on a look out for something adorable from the princely state of Rajasthan. Now that bedsheets are available for everyone to enlighten the beauty of their home, there are numerous websites and online stores emerged as the sole representators of art from Rajasthan. 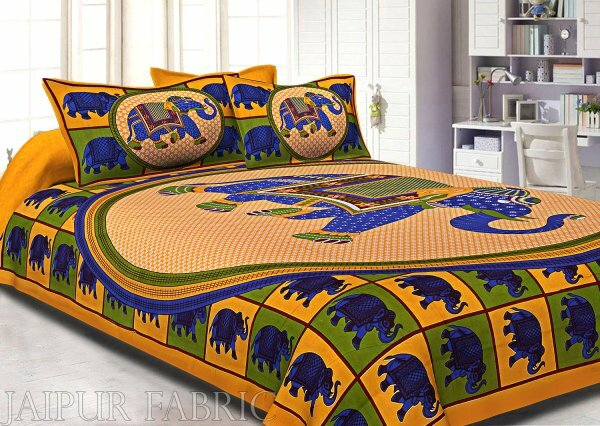 They have an extensive variety of bedsheets with elephant and came prints. Indeed, some of them also have a touch of patch work in the shape of elephant and came. So, the people are able to get huge variety that might not be available in the physical shops or stores. It is the sheer hard-work of technical experts, who work towards minutely printing the designs for ideal presentation. They make sure that designs are crafted in an equated manner.